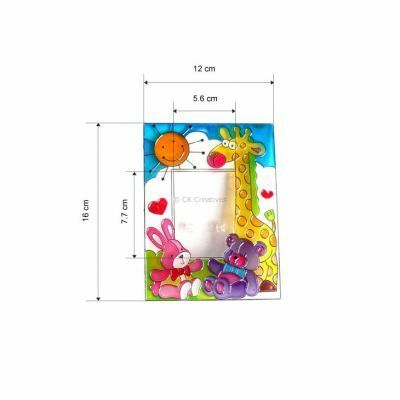 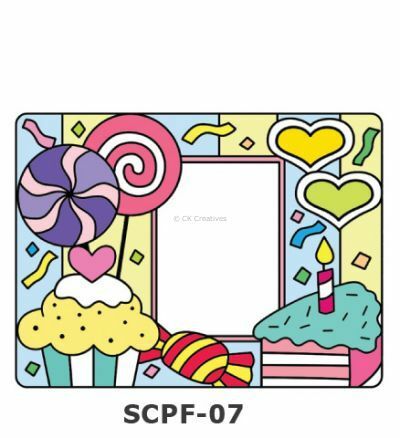 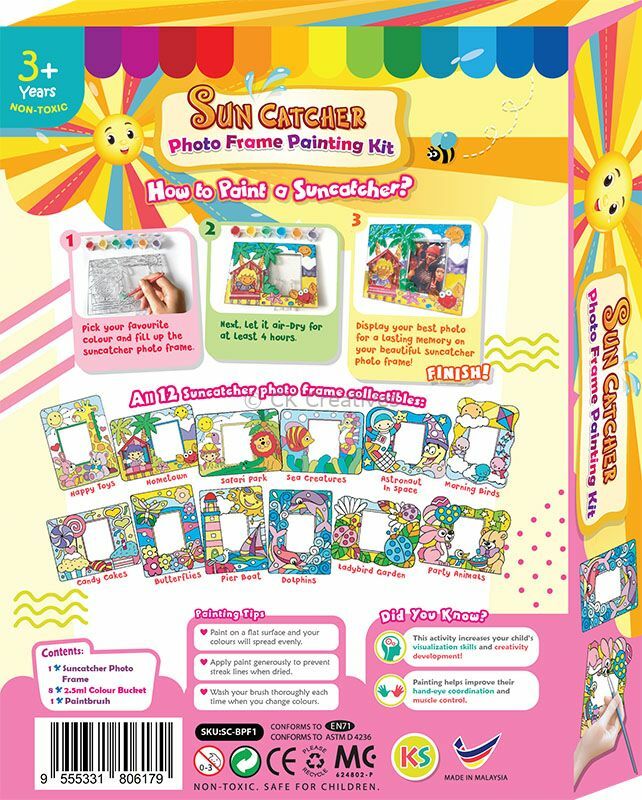 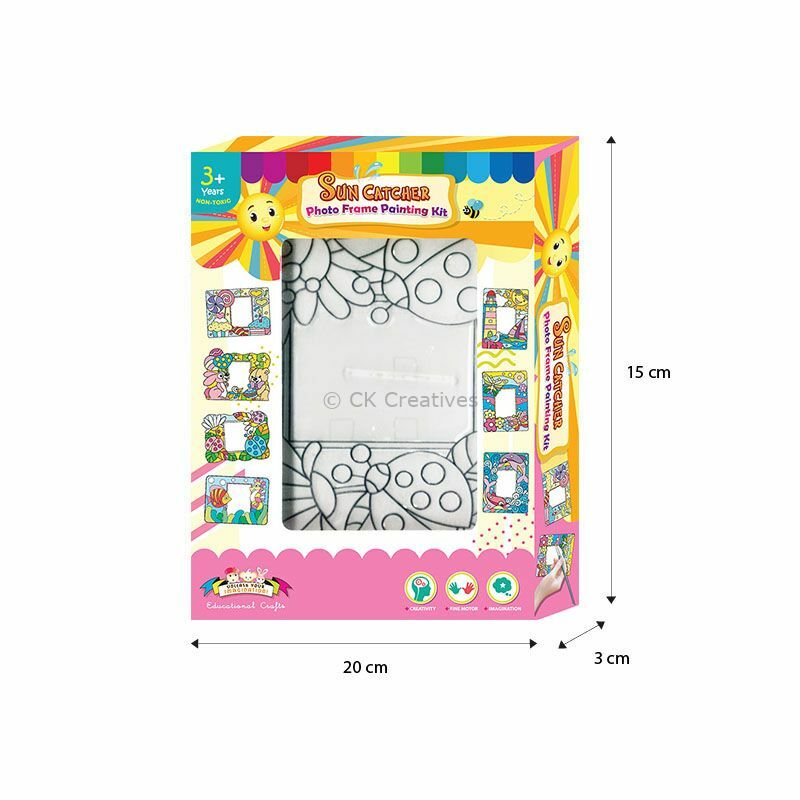 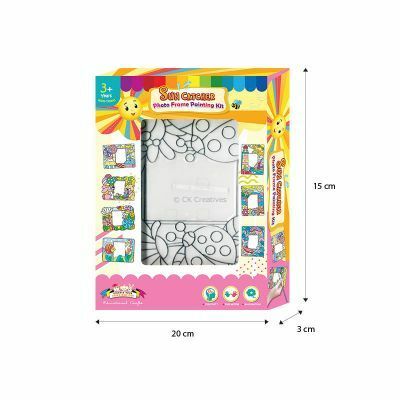 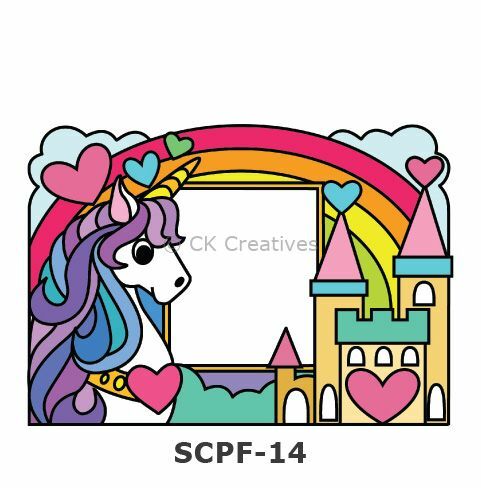 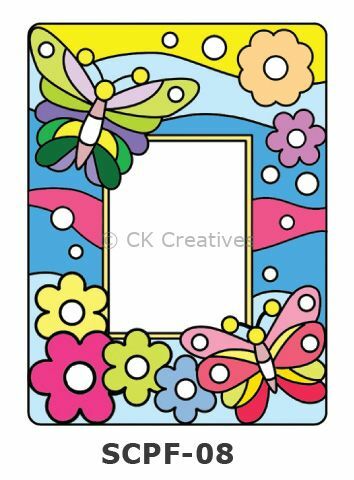 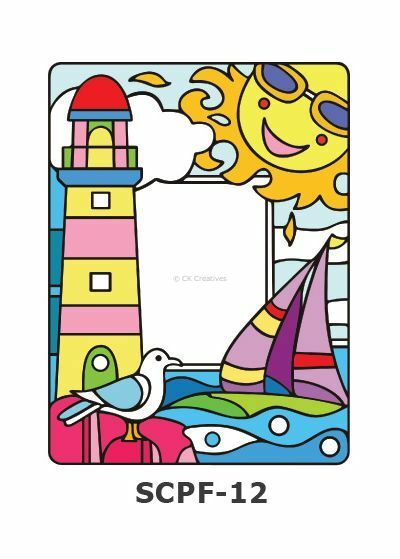 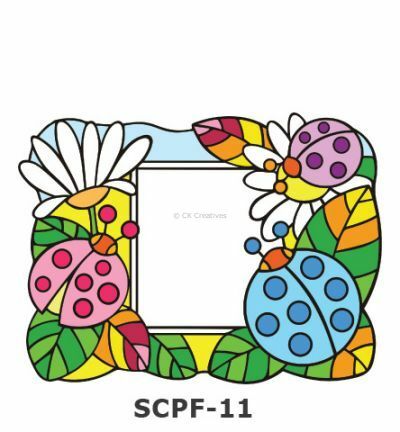 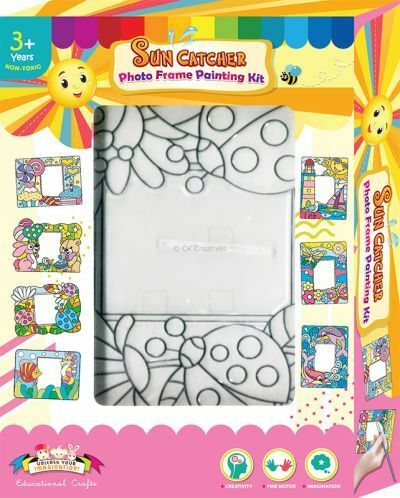 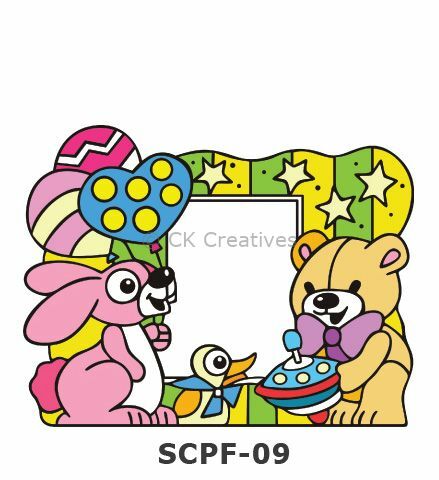 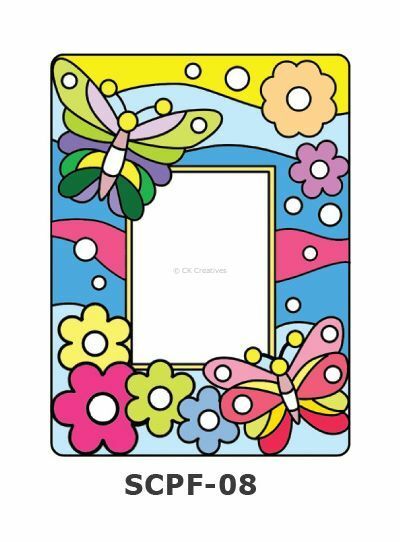 New suncatcher photo frame painting box kit comes with a beautifully designed suncatcher photo frame stand and complete with colouring tools. 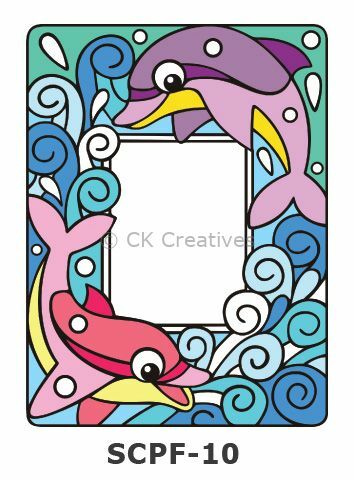 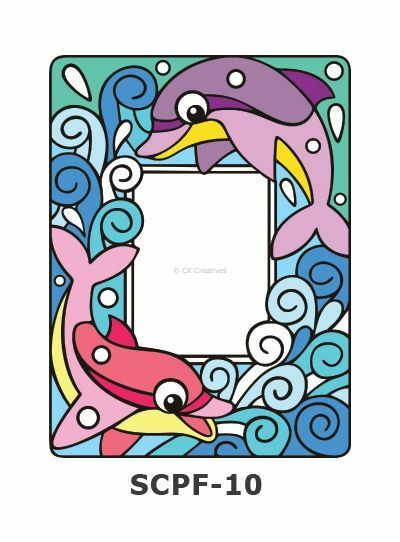 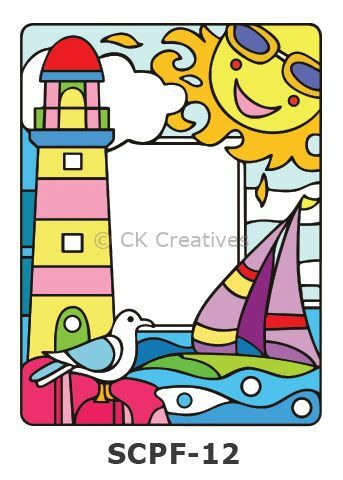 Kids only have to mix and fill in colours that they like, creating beautiful masterpieces. 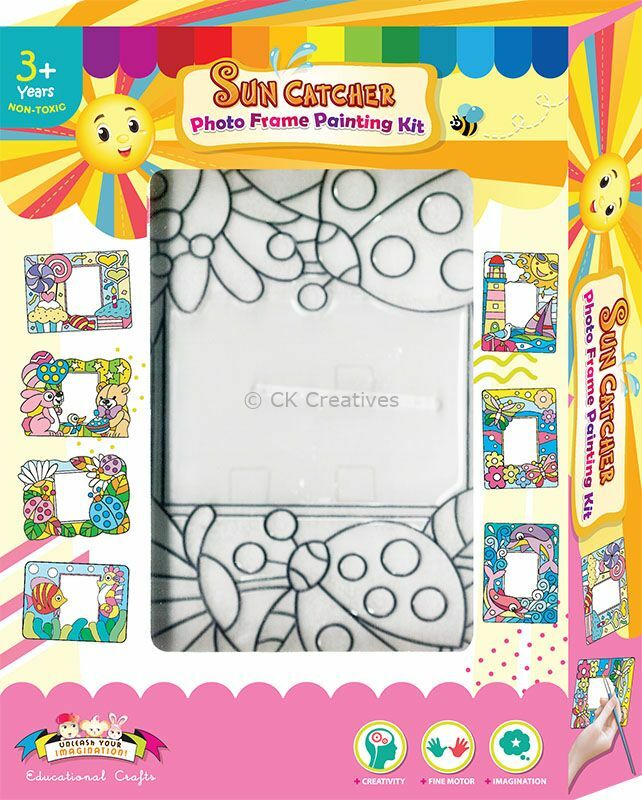 Let the sun rays shine through the finished transparent craft! Fits a 2.5" x 7" photo. 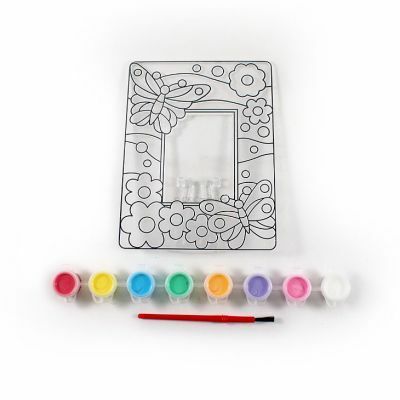 You may decorate atop your mantelpiece, study desk or wall rack! 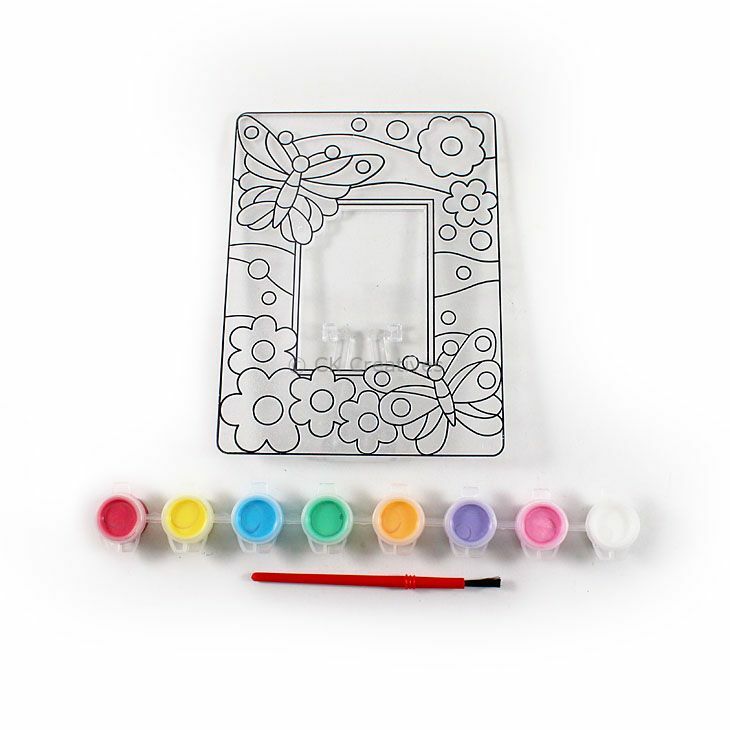 Specially designed Box kit - perfect for gifting and as Christmas presents!